A pressure washer is a simple power tool that utilizes a motor/engine to run a pump that packs together water at high pressure delivering it through a wand and spray gun. One of the most important components therefore in a pressure washer is the pump, which depending on its type, price of the pressure washer and its build quality, usually wears out. Commercial grade pressure washers tend to require a replacement every one year while a semi-pro or professional model usually lasts two years or more. 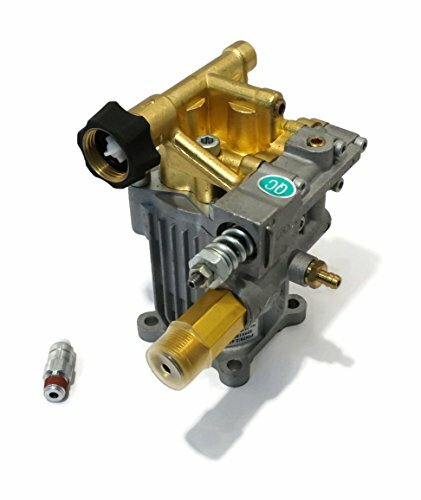 One of the first things you need to find out before replacing a pump is what type it is. There are basically two kinds of pumps. One is called the axial pump and the other is a triplex pump. If your pressure washer is using a wobble or axial pump then you really can’t do much about the pump. The moment it goes bad, you need to replace it. There is no chance of repairing the pump. On the other hand, a triplex pump can be repaired easily. It does not cost much to repair these pumps and just about any local repair center can do the job. However, after a while a triplex pump tends to lose its ability to maintain pressure and it becomes necessary to replace the pump as repairs no longer give it much needed impetus. Do You Have To Purchase A New Pump Or Pressure Washer? Just because a pressure washer lost its pump does not mean that you need to replace the washer. Depending on the condition of the washer, you can actually just replace the pump and still use the washer. 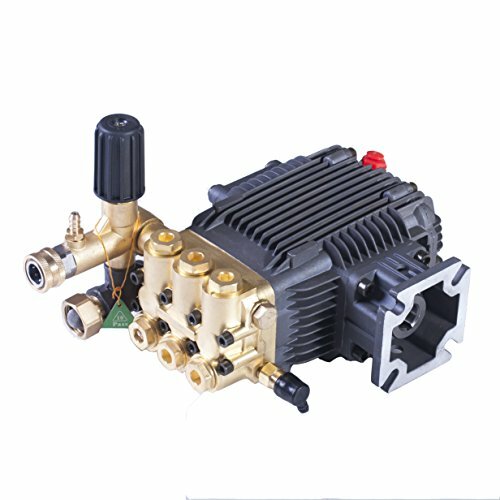 If the engine has got life, if the wand and other components are in good working condition, it might just be cheaper to change the pump. This is especially the case with triplex plunger pumps and axial cam pumps. One of the first things to ascertain is whether the pump you are looking at is compatible with the machine you have. 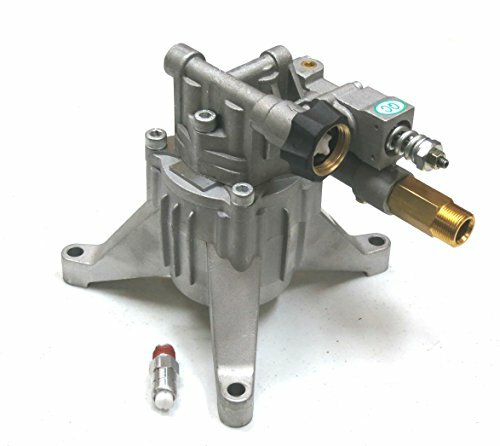 For this you need to find out the exact pressure washer pump used in your model. Then find out the diameter size for the shaft followed by whether it is hollow or solid. Next, you have to look at how the current pump operates with the motor. 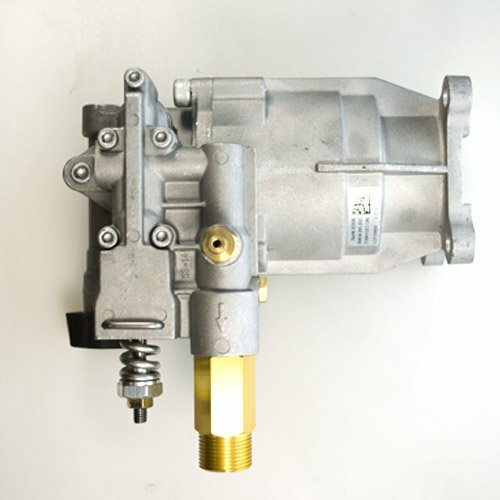 Find out its attachments, bolt patterns and also note the exact orientation of the pump with respect to the engine. Then find out whether you require a vertically shafted or horizontally shafted pump. In simple terms, will you need a tall sitting or a long sitting pump next to the engine. The next thing to do is match the PSI and GPM of your current pump with the replacement. Remember not to overdo with the PSI and GPM ratings thinking that more is better. Your engine too must be rated sufficiently to handle the output of the pump. Or else the engine will not be able to handle the additional pressure you plan on producing. The best way to find out an exact match for the pump is to go through your instruction manual or drawings. Compare all the measurements of the new pump with those highlighted in the manual. Usually all major engine makers tend to use mounting flanges of the same specs and measurements so this should not be a problem for you. However, just to be on the safe side do double check on these measurements.